Just got an un-opened box of Samplitude Pro x Suite and just got it installed too! 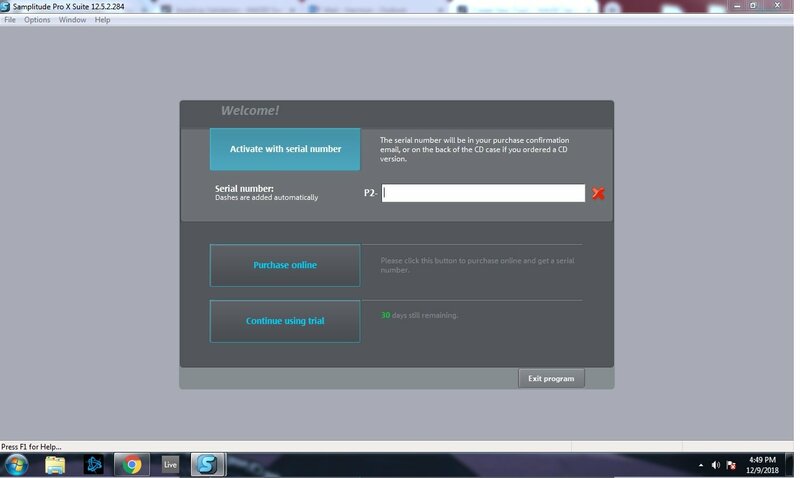 Now I'm trying to enter in the serial number but the program won't let me proceed. 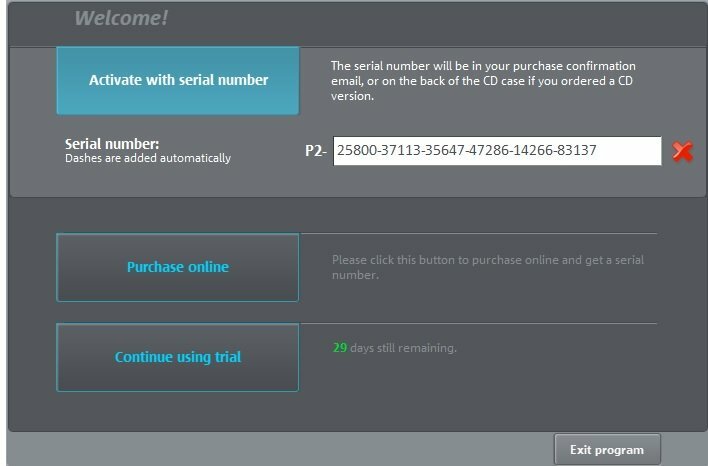 It seems stuck on the window to enter in the serial number, there is no "go" or "activate" button and pressing enter closes the program. Please help! Please try again as admin. I just tried it, still no way to get it to read the key I type in sadly.. When a correct serial ﻿number is entered the red cross are replaced with a green checkmark and then you can proceed the registration. I have entered the serial number that came on the CD case over 20 times now, and the red cross does not change to a green. Not sure what to do now.. Although you stated that the box was un-opened: Could it be that the serial number was used by somebody else before? 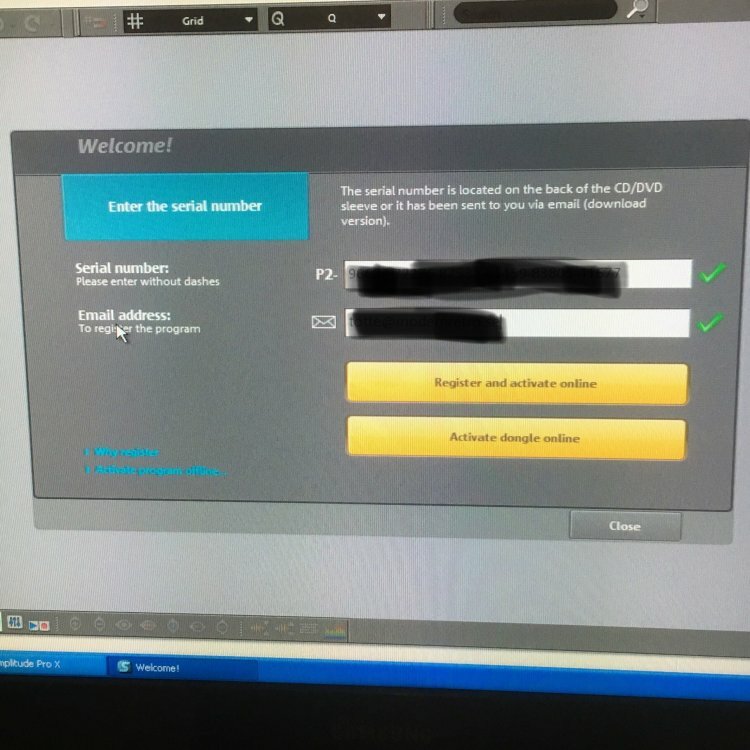 The number may have been sent to a previous buyer by e-mail, who then went through the activation process online and didn't bother to even open the box. Just a guess, because normally, unused serial numbers should always be accepted. I think it is very possible and I worry that this is true. Could I contact Magix via phone and get a new serial number possibly? I did that the first day, it says the serial number is good! it's just my software that wont recognize it now, I believe. Did get an option to enter you e-mail? If so make sure it!s the same as for the registred account. Enter my email where? i have been looking inside the Samplitude Pro X software for a place to login or enter that info, but it does not seem to have anything. Thanks for the help btw! Something is wrong here. I tried an install of my old ProX Suite and run into the same problem. No activation possible of ProX and X2 . I will write to support, but that will be one of the lasts things i'm doing here. Something is wrong here. I tried an install of my old ProX Suite and run into the same problem. No activation possible of ProX and X2 . I will write to support, but that will be the one of the lasts things i'm doing here. I'm curious, have you tested if the offline registration also? Hi Thomas, no offline Registration /activation possible from within the start page…. I remember it was a bit tricky to find the offline registration but I think it was down somewhere in the left corner, maybe it just shows if the computer is offline? Do you have any registrations left of the 3 possible? Ah this brings me clarity, thank you for writing support! I really appreciate all the help from everyone in this thread. There is really no way out here and this Software was already activated on my dongle years ago. Ok, I just tested to install my old Pro X on an old (really old, with Win XP) offline PC in my studio. It does accept my serial, and when an e-mail is added and there is 2 green checkmarks the ”Activate program offline” shows down in the left corner. Ok, thank for the report @werner! 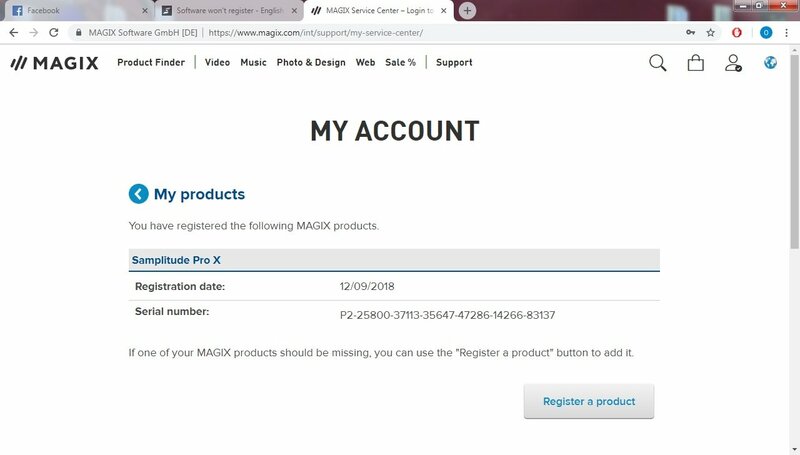 Strange that it didn’t work with your Pro X.
I tested the ”Create activation code” in the Magix Service Center again with my Pro X serial, this on my laptop and now it accepts my serial ... I didn’t go thru the procces to generate the code as I don’t plan to activate it on that computer and I’ve already used my 3 activation so I probaly need to get a reset by support. Anyway it’s good to know that is still a working way to self manage the offline activation code. Last night I tried to do it on my iPhone, maybe it was a mobile web browser issue? So uninstall the Pro X Suite version and install the Pro X.